All films work like clocks. Silent clocks that discreetly articulate time, not with needles or numerical digits but with visual and auditory registers. Filmic and videographic works subtly express the inevitable nature of time, transmitting its immeasurable dimension. Temporal irreversibility coincides with media whose technology encourages its development: a reproduction conditioned by its perpetual transformation. Projections of moving images and sound amplifications reveal how their only truly constant feature is change. Over and above durations anchored in chronometric parameters (seconds, minutes, hours), each audiovisual work uniquely brings its time-flux into play. This essence, that lies at the base of film and video, is encapsulated in the concept of time-based media. According to Henri Bergson, ‘time is unrepresentable because it is flux, absolute unity, indivisibility’,so, as Mary Ann Doane tells us, it is symptomatic that ‘the cinema embraces narrative as its primary means of making time legible’.The irreversible time of the filmic device (the camera that records, the projector that reproduces), diegetic time (its representation within narrative), the historical time of images (the moment they were filmed) and audience reception time (relative to the exhibition context) are the temporalities integrated in film. Multiple destructured temporalities appear in works in which fragmentation, discontinuity and ellipsis are consubstantial elements. Film captures and stores time; by showing us clocks and watches, it proclaims this in a different way. Amelia Groom declares that ‘art can show us how our understanding of time has always been something fabricated and shifting rather than pre-existing or “natural”.’ Destabilising the internal patterns articulated by clocks is common in avant-garde film: denaturalising their operation and evoking their form are ways of highlighting their complexity and the rebuff they received.In some contemporary artistic audiovisuals the construction of time is subverted, its clocks are violated. Distorting their utility, we sense fluctuating cinematic dimensions that explore new rhythms, other pauses. These disruptive configurations integrate metalinguistic traits, literally demonstrating the notion of real time or twisting spatio-temporal coordinates. Calling into question artificial conventions of physical time, phenomenological appreciations that expose the dissociation between objective time and subjective time are brought into play. The Clock, made in 2012 by American artist Christian Marclay, is a paradigmatic example of temporal self-absorption revealed in real time. Its twenty-four hours of duration recreate the workings of a clock over the course of one day. Recycled mises en scèneand sequences appropriated from wristwatches, wall clocks or digital watches and clocks all mark the minutes of a day. The precise synchronisation between the projection of the film and local time converts each shot into the hand of a clock or watch. Remembering a part of the history of film as f it were a wall clock is one of the outcomes. The rectangular screen replaces the circular support to indicate each minute of the day, including actors and actresses who react when checking the time. French film maker Christoph Girardet resorts to the same approach in 60 Seconds (Analogue) of 2003. Sixty one-second shots taken from films made by others show a variety of wristwatches marking the course of a minute designed to appear in a loop. Its simplicity forms a sharp contrast with the ambitious magnitude of the previous film, yet its chronometric precision is identical. Both are works made of found footage that make temporal development visible thanks to past images that congregate present images and infer future images. Indicating the time to emphasise its duration is the intention of American artist Morgan Fisher in Phi Phenomenonof 1968. An electric wall clock is the only visible element in a minimalist and tautological work that assimilates movement by revealing its course. Progress is only perceived through the minute hand and the audience’s memory, faced with theexperimentation of change through their own subjectivity. The reward for noticing variations that are virtually imperceptible and the notion of boredom strike up a dialogue. Conversely,Bleu Shut, made in 1971 by Californian artist Robert Nelson, is a film collage made as an amusement. 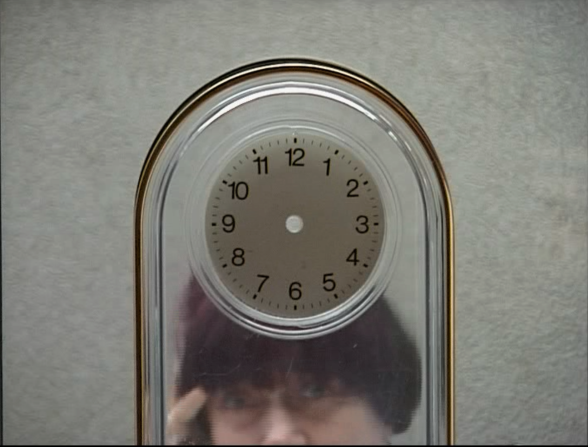 A range of different visual constructions arranged around a small clock with hands in the upper right-hand corner shape a film subtitled 30 Minutes. This is the length of a work designed as a competition to identify the names of assorted boats. A series of fixed cards with superimposed texts recalls a radio show contest. The comicality conveyed by the voices of the host and the two competitors characterises a playful, participative film that reflects on its own duration. The human body operates according to a set of diachronic guidelines articulated as mechanical cogs that follow the passing of time — hours, days, weeks, months and years. Raqs Media Collective art group quotes neuroscientist David M. Eagleman on how human beings perceive time: ‘But the interesting thing about the perception of time is that there is no spot. It’s a distributed property. It’s metasensory; it rides on top of all the others.’In Time Piece, made in 1965 by Jim Henson, the body rhythms of the director are synchronised with the sound pattern of a percussion melody. Continuous references to old clocks punctuate dozens of painstakingly calculated actions. A truly absurd comicality marks the succession of events portrayed. Everyday life is governed by an organic time made up of steps, gestures and repetitive actions, thereby informing that there is a clock inside each one of us, several even.Clockshower, made in 1973 by Gordon Matta-Clark, enters into a huge clock. The American artist climbed to the top of the Clocktower in New York and installed an austere pipe on one of the hands before proceeding to shower, shave, brush his teeth and take a nap, paying tribute to the legendary scene in Harold Lloyd’s Safety Firstof 1923. Domestic space and public sphere dissolve as the movement of the hands of the clock is hindered. This decontextualised morning toilette is documented on video from a distant high-angle shot that establishes the loftiness of aperformance that compromises the marking of time. 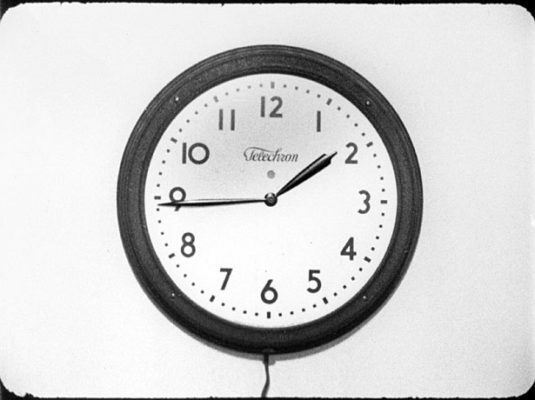 The dialectics between subject and clock also marks the guidelines of One Year Performance 1980–1981 (Time Clock Piece) made by Tehching Hsieh in 1981. In this monumental action carried out between 11 April 1980 and 11 April 1981 the Taiwanese artist punched a time clock every hour on the hour during the twelve months of a year. Hundreds of unique photograms document a vast action whose disciplined unproductive repetition refers back to the myth of Sisyphus. In his studio, Hsieh punches each card in a clock stamp machine shortly before having a frontal self-portrait taken on a photochemical support. Each instant is summed up in a single still that condenses the time of the performance into a six-minute film. The chronographer exemplifies the tension between two extremely distinct time periods: the 365 days during which the action was held, and the few minutes that sum it up. This long temporal diversion is maximised in Cosmic Clockmade in 1979 by maker of animated films Al Jarnow. A billion years is condensed here in just over two minutes. The performativeness of clocks personified in the figure of the worker is heightened in projects like Standard Timeand Real Time, the former created in 2008 by German artist Mark Formanek, and the latter in 2009 by Maarten Baas, also German. 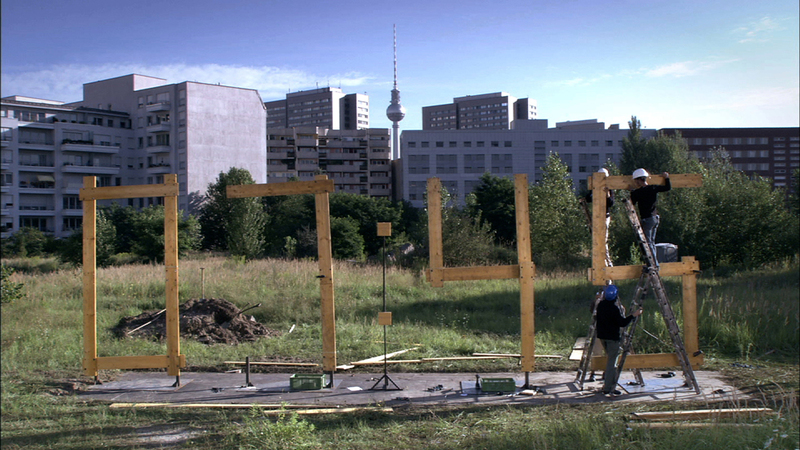 These two versatile works construct time as it passes.In Standard Time, a group of workers painstakingly changes the digits of a huge installation – a clock placed on a plot of land in Berlin or in the central railway station in Rotterdam – over the course of twenty-four hours. 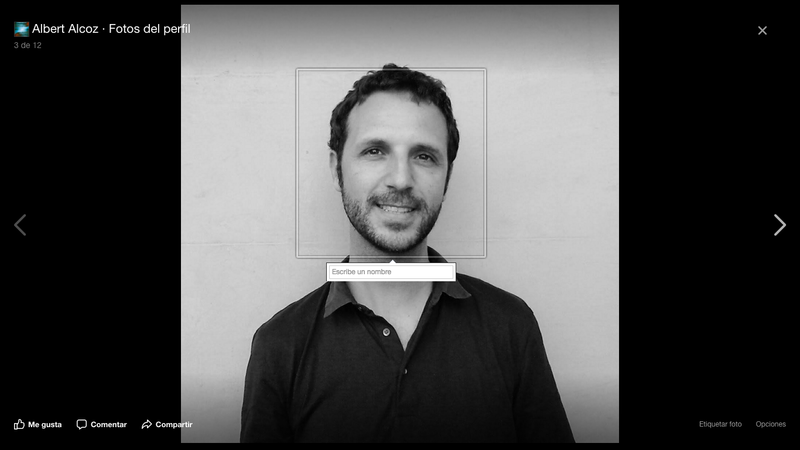 Real Timeoperates along similar lines, and consists of a series of actions that visualise time through three different proposals: Sweepers, Analog Digitaland Gradfather Clocks. Sweeping a pile of leftovers placed linearly on the ground; painting a piece of glass with opaque material or cleaning it with domestic utensils and drawing lines on glass with a felt pen are activities designed to indicate the correct working of analogic or digital watches and clocks. Formanek and Baas challenge the productive notion of time calling into question the popular statement ‘time is money’. These practices reveal the mechanics of clocks to question their preciseness, alter their utility or highlight their poetics. Removing the minute hands is a way of illustrating the untimely, the plurality of suspended presents or the possibility of placing ourselves outside time. 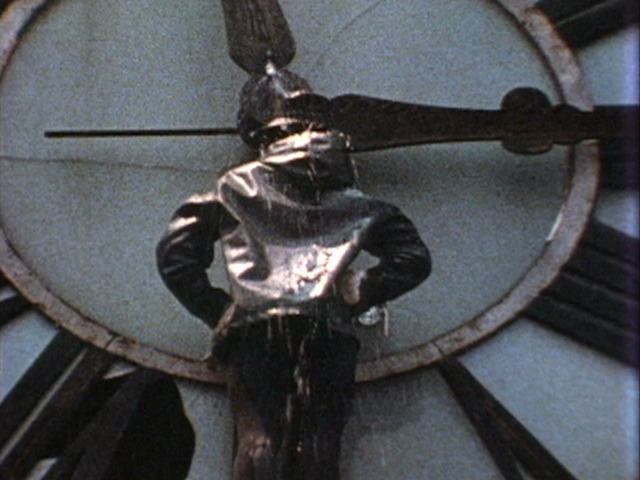 The absence of hands on the clocks in Guy Sherwin’s Messagesof 1984 and Agnès Varda’s The Gleaners and Iof 2000 conveys a timeless domain that connects to the cancellation of the future propounded by Franco Bifo Berardi.To wonder about the temporalities that audiovisual media have not yet been capable of discern seems to be fully justified, because the chronological exists, but so do gaps. To establish resistance to the measurement in equal and exchangeable units proposed by the mechanics of clocks is a way of emphasising the value of chrono-phenomenology.How could we explain otherwise that in the audiovisual field, a few hours pass fleetingly, a few minutes seem eternal and a few seconds bring time to a halt? Jean-Luc Godard summed up the grounds of the cinematographic medium when he referred to calculated timein his 1963 filmThe Little Soldier: ‘Film is truth 24 times a second’. Henri Bergson, Creative Evolution, Henry Holt, New York, 1926, pp. 336-343. Mary Ann Doane, Mary, The Emergence of Cinematic Time. Modernity, Contingency, the Archive, Harvard University Press, Cambridge, Massachusetts, and London, 2002, p. 67. Different, too, are the perceptions of the leading character in Chris Marker’s La Jetéeof 1962, who travels to the past eluding a present constrained by radioactivity. Amelia Groom, ‘Introduction. We’re five hundred years before the man we just robbed was born’ in Amelia Groom (ed. ), TIME. Documents of ContemporaryArt, Whitechapel Gallery and MIT Press, London, 2013. p. 18. María Soliña Barreiro González, La mirada obsesiva: imágenes del tiempo en el cine de vanguardia europeo de los años 20,Universitat Pompeu Fabra, Barcelona, 2011. Raqs Media Collective (2011), ‘Planktons in the Sea: A Few Questions Regarding the Qualities of Time’ e-flux, Journal #27. Original quote in Burkhard Bilger, ‘The Possibilian: What a Brush with Death Taught David Eagleman about the Mysteries of Time and the Brain,’ New Yorker, 25 April 2011, pp. 57-58. The perforating machine used for punching time also appears in Charlie Chaplin’s 1936 film Modern Times, dramatising the exploitation of labour suffered by the working class with the consolidation of modernity. There are versions for personal devices for both actions that resemble digital works likeL’Horloge, made by Étienne Chambaud in 2005, Flipped Clock, made by Thomson and Craighead in 2008, or Zero Noon, made in 2013 by Rafael Lozano-Hammer. Franco Berardi (‘Bifo’), After the Future, Gary Genosko and Nicholas Thoburn (eds. ), AK Press, Edinburgh, Oakland and Baltimore, 2011. José Luis Díaz, ‘Cronofenomenología: El tiempo subjetivo y el reloj elástico’, Salud Mental, 34 (4), 2011, pp. 379-389.